CHARLOTTE - Some of the world’s smallest creatures are about to have a big impact at Discovery Place Science in Charlotte. The Museum’s newest traveling exhibition, Bug Lab, opens Dec. 8 and will offer visitors a close-up, larger-than-life look at the world’s smallest geniuses. 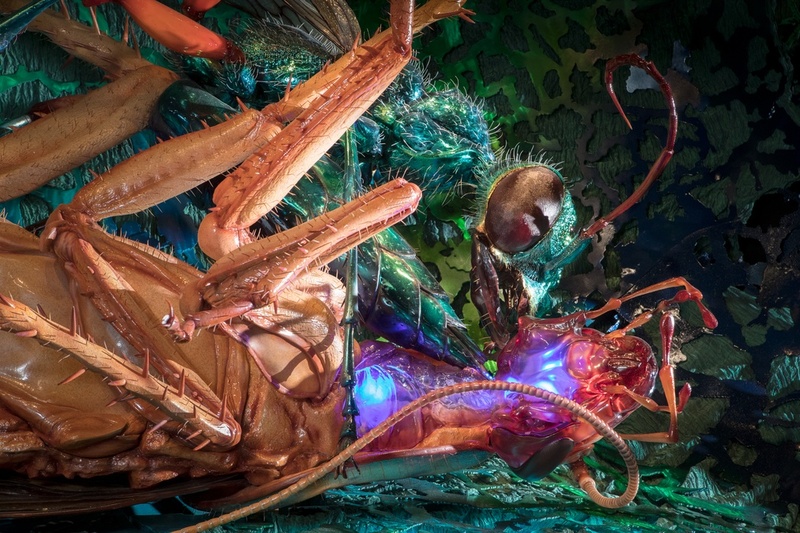 For the first time in North America, giant bug models will serve as tour guides while Museum-goers learn, through a variety of hands-on activities and experiences, how different types of insects live and what kind of impact they have on human innovation. The exhibition was created by New Zealand’s world-famous museum Te Papa, working with five-time Academy Award-winning design and manufacture studio Weta Workshop, the studio behind the design and physical effects for “The Lord of the Rings” trilogy. 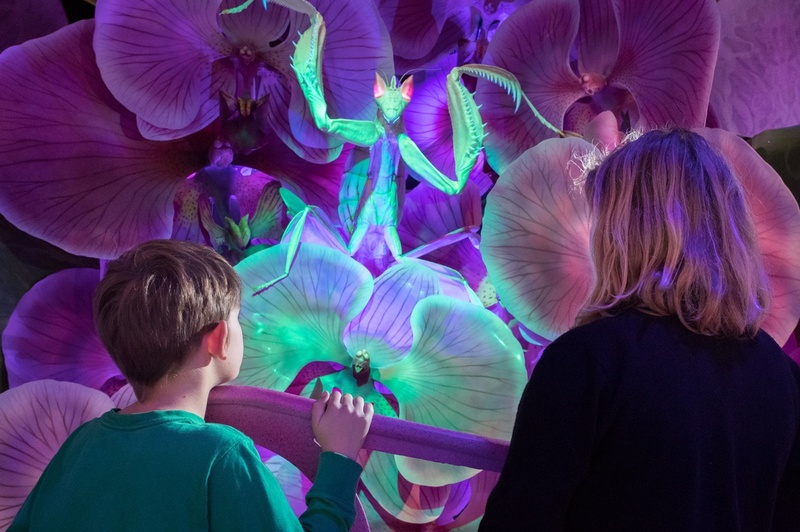 The exhibition elements took more than 40,000 hours to create before premiering in New Zealand at Te Papa. After touring Australasia, the exhibition will now make its U.S. debut in Charlotte. “For 450 million years, bugs have been getting smarter. From brain surgery to teamwork to the power of flight – they really can do it all. Now they’re sharing their genius to help humans make the world a better place,” says exhibition co-creator and Weta Workshop CEO and co-founder, Sir Richard Taylor. Join with other visitors in Bees vs Hornets: you become the bees defending your hive from the deadly hornet. 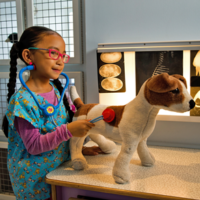 Dozens of additional interactive experiences offer visitors the chance to test their reflexes, practice bug brain surgery, slide through the Bombardier Beetle or fly their origami butterfly in the Bug Lab wind tunnel. Club Bug: An opening day insect extravaganza with a bug-themed music club, live bugs, DIY bug antennas, a bug parade and more. Visitors can craft an Air Bee ‘n Bug winter hotel for pollinators and collect special edition bug cards while moving through the Museum. December 8. Winter Wonder Bugs: Bug out when school’s out! During the season of celebrations, Discovery Place Science will be celebrating bugs with hands-on activities, a Bug Bistro to get the flavor of bugs, bug-inspired ornament-making and a Bug Bar where local experts will answer questions. December 20 – January 2. Arthropod Day: It’s the big bug bonanza, featuring expert entomologists from around the region. Plus, guests can place their bets -- for bragging rights only -- on cockroach and caterpillar races, get close to live bugs, and the bravest of all may compete in the bug-eating competition. April 27. Bug Bar: Engage with visiting scientists and learn about all the creepy crawly invertebrates that make living small look big. Each month, a scientist or educator will be on hand to talk about a different species and to answer questions about the diverse array of invertebrates that live in the Carolinas. Second Saturday of every month. Discovery Place Science visitors also will be able to get up-close with live bugs each day in the Explore More Life lab or during daily shows. Throughout the exhibition, special activities and demonstrations will be featured daily including the Bug Bistro (get a taste of micro-livestock), Robo Roaches (control cockroaches using circuits), an armored bug build (craft an exoskeleton), butterfly masks (make a craft to take home), ladybug lab (learn about the cutest bug) and more. 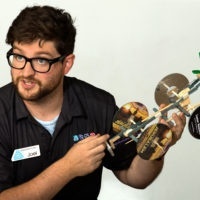 Activities will be featured on the daily schedule at discoveryplacescience.org or on digital screens in the Museum. Guests can further immerse themselves in the wild with a trip into Backyard Wilderness in the IMAX® Dome Theatre. The film reveals the unexpected delights of nature that are in our own neighborhoods and communities. Spanning a seasonal year around a suburban home, the film displays a stunning array of unique wildlife and animal behavior all captured by cameras mounted inside dens and nests and moving along forest floors and pond bottoms. The secrets of nature are then revealed in rare and breathtaking detail. Bug Lab will be on exhibition from Dec. 8, 2018 through May 5, 2019. Ticket prices and packages to Bug Lab are: $20 for adults, $16 for children (ages 2-13), $18 for seniors (60+), $3 for Members and $4 for Welcome participants. Guests can purchase the Beetle Bundle, which includes Bug Lab and the IMAX film, Backyard Wilderness, for an additional $4 ticket price. All ticket purchases include full-day Museum admission. Discounts are available for schools and groups of 15 or more. Tickets are on sale now and advance sales are highly recommended. 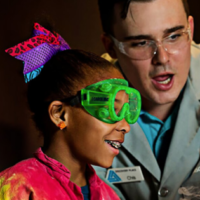 Reserve your spot in advance at science.discoveryplace.org, via phone at 704.372.6261 or in person at Admissions. For more information, visit discoveryplacescience.org.